What We Do – Columbia Gorge Wind & Water Assoc. 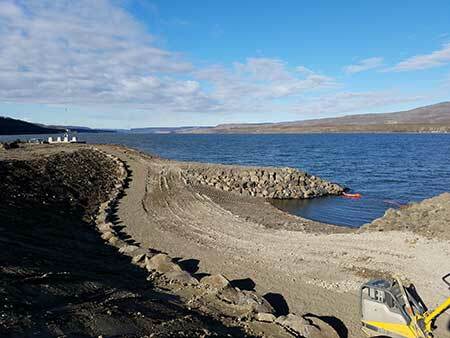 The CGW2 works with Land Owners, Oregon & Washington State Parks, Municipalities, Port Districts, The Inter-Tribal Fish Commission, and others we share The Gorge with to establish, maintain, and protect access to safe, high-quality Columbia River launch sites. Throughout the year, we conduct volunteer work parties and launch-site clean-ups. Published annually, The CGW2’s “Gorge Windsurfing Guide” details useful info on locating and using the best Gorge launch sites. Finally, The CGW2 owns, operates, and maintains “Swell City”, one of the most extraordinary launch sites in The Columbia River Gorge! The CGW2 helps to cultivate new generations of Gorge Wind & Water enthusiasts. 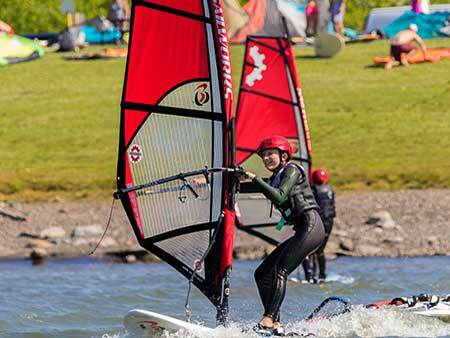 We support programs for youth and beginner Windsurfing introduction, instruction, and competition. We do outreach work with Big Brothers/Big Sisters, The Next Door, Gorge School Districts, and local instructors to promote Gorge Windsurfing. We also provide low-cost use of beginner equipment and instruction at “The Hook” in Hood River (May thru Sept). Throughout the Gorge Wind & Water season, The GGW2 conducts five gear “swap-meets.” We sell quality, affordable, donated used gear for beginners and experience sailors at very reasonable prices. Proceeds from these sales help fund our launch-site and youth programs. Seasonal visitors in need of “high-wind” gear can find great deals on lots of Gorge suitable stuff. Because the CGW2 is an IRS approved 501 (c) (3) not-for-profit organization, your gear and/or cash donations are tax deductible! Please don’t hesitate to contact us today if you have usable gear to donate! 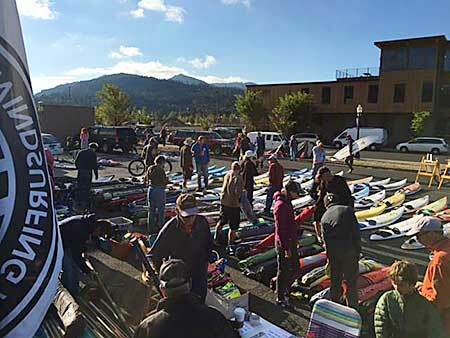 We hold annual events in The Spring, Summer, and Fall to promote wind & water sports in The Gorge and fuel the stoke! (see event calendar). Our Pray for Wind party pictured here has been an annual event since 1989.